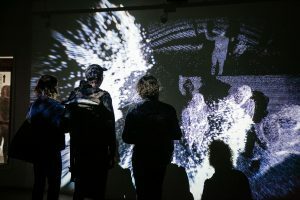 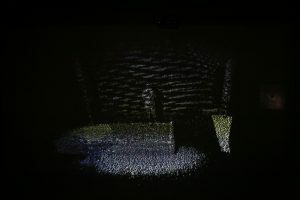 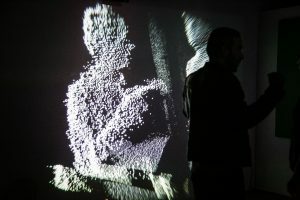 Through the latest techniques of video mapping, projection, and lighting design, Genesis will create an interactive walk-through experience around the Art Share Gallery that will explore the creation of sound and light from nothingness to LIFE. 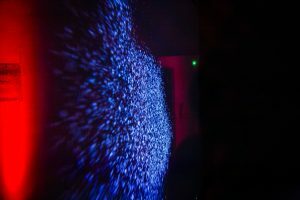 This looping event (beginning on the hour, every hour) features compositions from Ashley Fure and Stefan Prins, leading up to Alexander Schubert’s explosive piece Sensate Focus performed by the M.A.R.S. 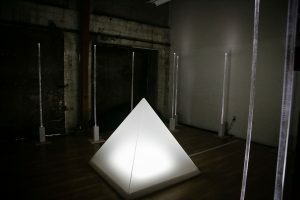 Collective (Lina Bahn, Brian Walsh, Mak Grgic, and Justin Dehart). 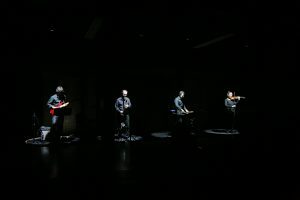 Making a special guest appearance will be Swiss visitors Ensemble Inverspace!